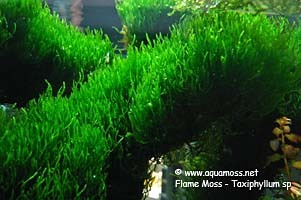 Flame Moss, Taxiphyllum sp. 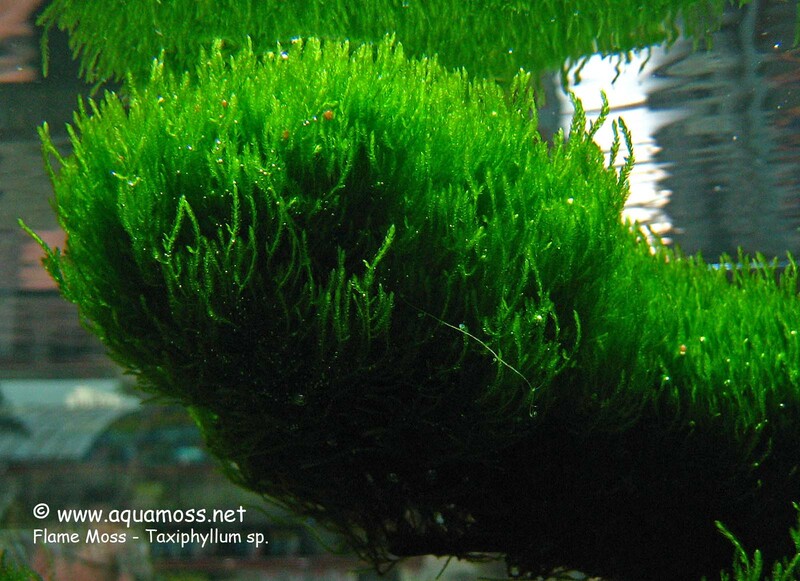 - How to grow Aquatic Moss. Yet another new Taxiphyllum species available recently in our aquarium shop. 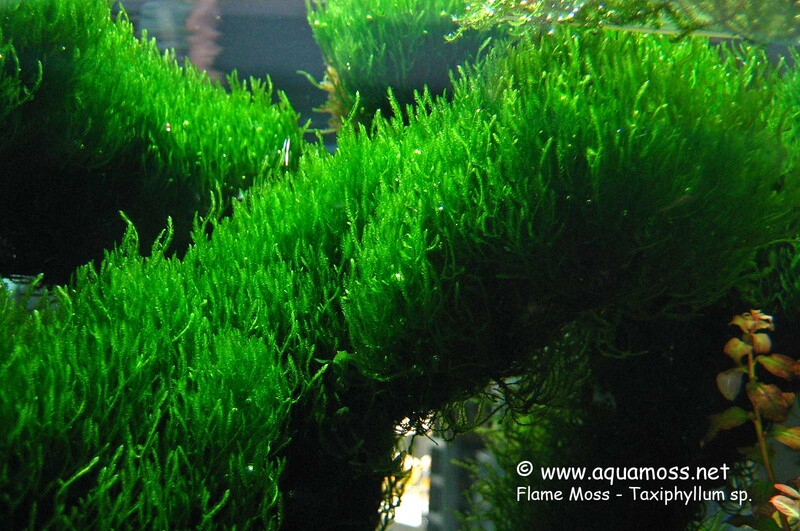 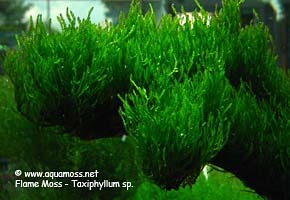 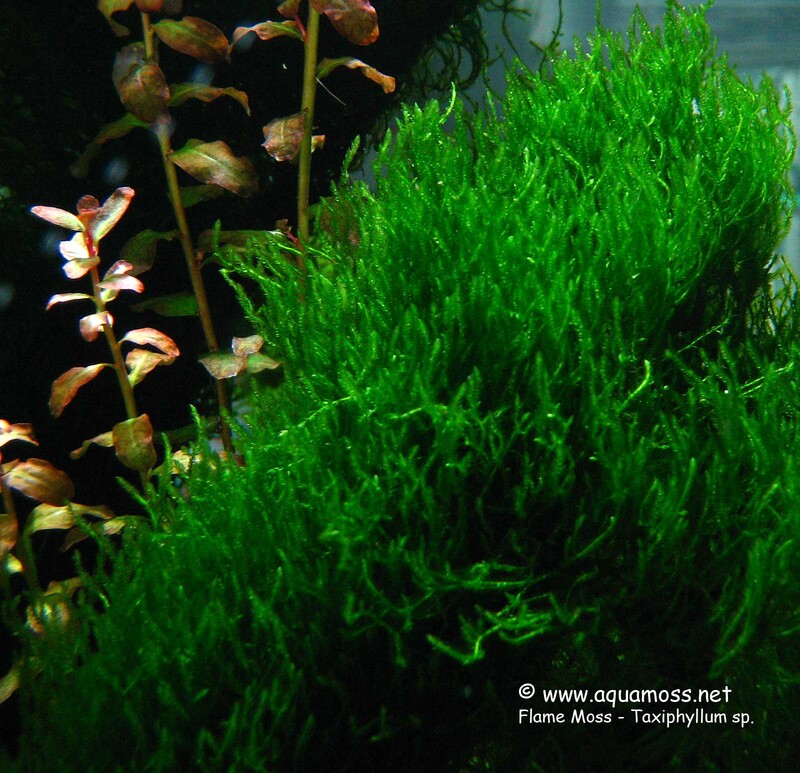 It is being named as Flame Moss, most probably due to the growth pattern of the shape of the submersed fronds. 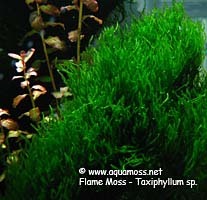 The Flame Moss is a very interesting moss as the 'fronds' do not branch out extensively like the other Taxiphyllum species, but grow straight up. 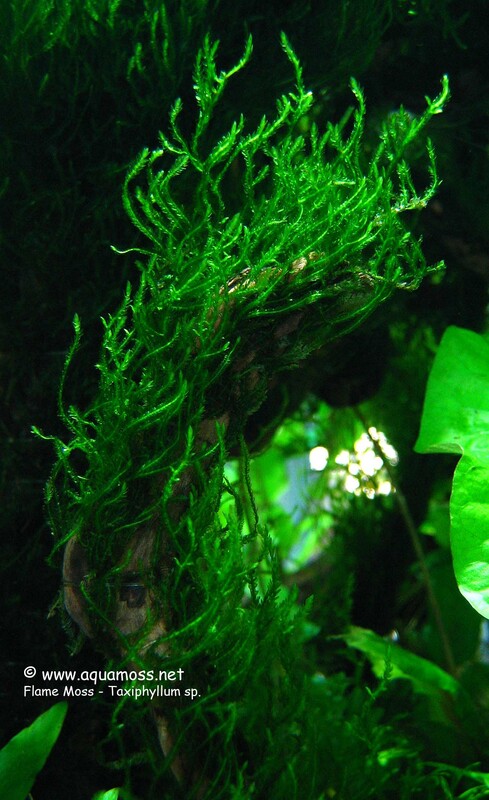 The fronds start to twist as it grows and this makes it looks like the flame of a candle.